Homeschooling is a gift. Breathe deeply and ENJOY! Your homeschool is in its infancy years. Similar to when you have a brand new baby and are a new mom, those tender years can be difficult, but they are also worth it. As your baby grows you will look back on that early season and treasure each poop, spit-up, and sleepless night. That’s much how the first year (or three!) of homeschooling can feel. You have a “new baby” and you’ll learn and grow – even during rough patches. One day these early years of homeschooling will be a treasured memory! I’ve yet to meet a veteran homeschooling mom who wishes she wouldn’t have poured all of those years into her children. Most seasoned homeschool moms will tell you their only regret is that they can’t do it all again! Enjoying the moments with the great builder, Liam Joseph! Comparing = Joy Killer! Comparison is a theft of joy! I know I’ve heard the sweet Sally Clarkson say that again and again. You don’t want to get in the trap of comparing your homeschool to others. Just as your family and life circumstances are unique, your homeschool will be particular to your life dynamics. My friend Jolanthe from Homeschool Creations has beautiful thoughts on The Comparison Trap. Your home isn’t a classroom. 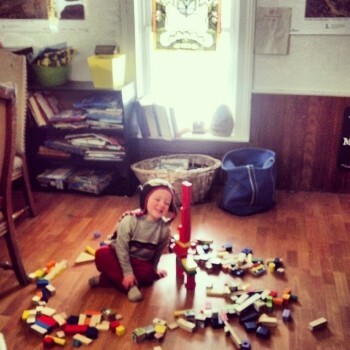 Sure, home is the center, and learning abounds 24/7/365. But, you don’t want a loud gong that bangs doom when “school time starts.” Sitting rigidly at desks and bending backs over pages and pages of worksheets while little hands clutch hard on pencils doesn’t sound like a peaceful learning environment. Please remember that even if you have a “school room” learning can take place on the couch, outside on a quilt in the sunshine, grocery shopping, and a million other places. Don’t feel pressured to turn your home into a public school classroom because it isn’t, and that’s part of the beauty of homeschooling. Read more thoughts about Letting Go of the School Mentality. 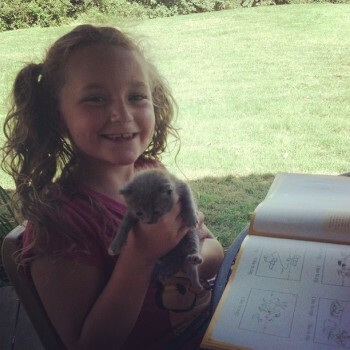 Homeschool perk #974 doing your school work with a kitten and outside in the sunshine! Reset a bad day with snuggles and reading. Want to know my “secret homeschool weapon” that has worked over the last 10 years? It’s as simple as snuggling and reading. When frustration or grumpiness sets in, I like to stop whatever we’re working on and take a reading break. 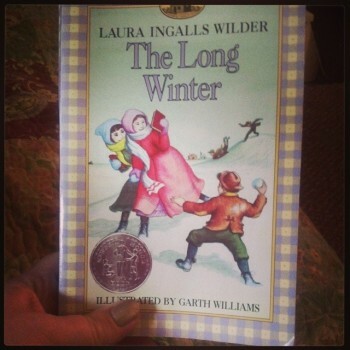 Snuggling on the couch with a chapter book (here’s our favorite homeschool read alouds plus tips to get you started), or letting each child pick their favorite storybook, leads us to a nice reset attitude and allows us to start again from there. Here are 5 Ways to Overcome a Bad Homeschool Day. Find local support. Find a weekly, bi-weekly, or monthly homeschooling group to get plugged into. I mention in the video that we have done a monthly homeschool group for the last 8 years. It’s one long day that is exhaustively wonderful and then we’re done. 🙂 I highly recommend contacting your state homeschool organization as well. My state group is HEAV.org. If you’re in Virginia you’ll find that HEAV schedules educational field trip events and cultural learning experiences throughout the state. I’m able to pick and choose a few events each year, plus get a healthy discount to locations that otherwise would not be in our budget. Don’t dump tons of money into curriculum. Yes, we deal with saving money on homeschooling all day, every day, on FreeHomeschoolDeals.com. I’m not saying don’t buy curriculum. I *big-fuzzy-heart* homeschool curriculum. I’ve learned over the years to make my huge list of *wants* and wait. It is hard to wait. However, I’ve found that if I sit and wait on the items I think we need, after a few months those items may be totally off my list. You can read more in How I’ve Saved Thousands On Homeschool Curriculum. It doesn’t hurt to wait, watch, and pray over exactly what is needed for the upcoming homeschool year. I also highly recommend picking up Ruth Beechick’s classic (affiliate link) The Three R’s. 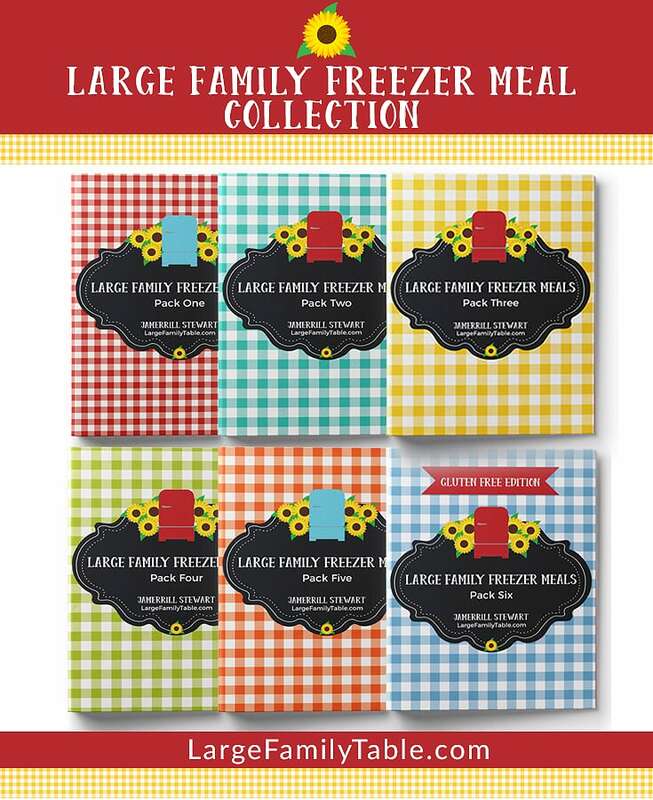 This book really settled me down on what I thought I needed to purchase for our homeschool. 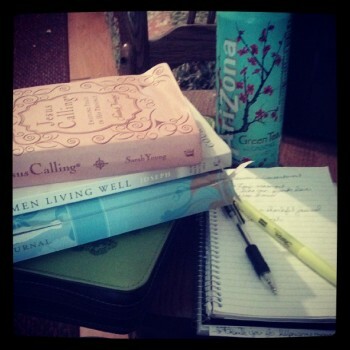 A view of my afternoon “Jesus time.” I have my favorite tea, a stack of great reading, and a notepad. This is my special time most days! Finally, take some time for you. All moms are busy pouring into the lives and hearts of their children. As a homeschooling mom I am always with my children, but believe me, that’s the only place I want to be! I do suggest though that you carve out a small window of time for yourself. Whether you get up 30 minutes earlier than your children to read your Bible, or you lie down and rest during naptime to have some quiet thoughts – plan on giving yourself a little time each day to pour into your own soul so that you can pour back into your children. You’ll find more tips in Creative Ways to Get More Jesus in Your Day. 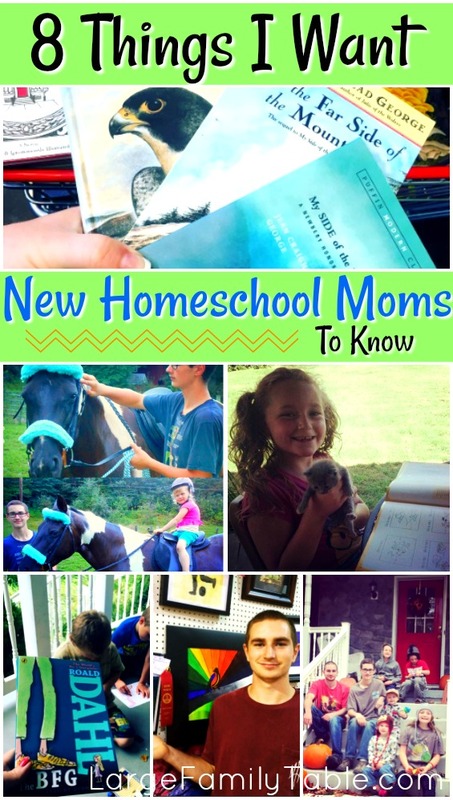 Those are the helps that come to the forefront of my mind for a new homeschooling mom. I know that you already have a list of additional tips jumping around in your mind. Please leave your additional helps and thoughts in the comments below. Also, follow me on YouTube so you don’t miss any of these new homeschooling videos! Now be gentle while viewing this video. This was one of my first attempts at vlogging from two years ago. Click here to watch the full 8 Things I Want New Homeschooling Moms to Know. Things to look for in the video – my bare feet, the tub of butter on the kitchen table that you can see through the window, my side ponytail that I thought was cute but now I’m not so sure. 😉 Also listen for the loud birds and frogs singing! That’s just my country life at its finest. You’re just awesome and that’s it. I have seen this before, but so thankful to have it to come back too. 🙂 This is my first “real” year of home-school, since my eldest is finally kindergarten age. I feel so much more pressure just because she is school aged. Seems silly, but is just true. Thanks for this encouragement. Thanks for being such a comfort, a fine example, and a breath of fresh air, keep up the good work; in our thoughts and prayers. I’m in Arizona my son has Spectrum autism and ADHD. He’s in 4th grade and I want to homeschool him, but wondering if it’s too late? I’ve always done work on the outside of his school. I feel because he’s in a special needs program at school, that they don’t push him. Over summer he learns so much and returns to school and forgets it all. Is it to late for me? Just awesome!! Thank you for this timely reminder. I LOVE the non-pinterest, I don’t have to make everything perfect, style of your vlogs. I chose NOT to watch other people’s vlogs and only watched yours because you let us into your life in a way others don’t. I felt so damaged by comparison at the time I began watching your early vlogs. Your attitude and gentleness really soothed my soul. I’m grateful! ?